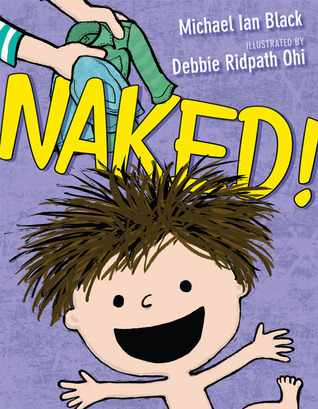 “A hilarious new book about a boy who refuses to wear clothes, from comedian Michael Ian Black and illustrator Debbi Ridpath Ohi, the team that brought you I’m Bored, a New York Times Notable Children’s Book. Michael Ian Black and Debbie Ridpath Ohi, whose “smart cartoony artwork matches Black’s perfect comic timing” (The New York Times Book Review), have paired up again to showcase the antics of an adorable little boy who just doesn’t want to get dressed. This would be such a fun read aloud, even in a school library. I loved the time when my own children were toddlers and there was a little fun relaxed interlude of running around NAKED! after the bath and before being forced into into jammies. This book captures that interlude perfectly. The little child is delighting in his freedom but the look on the mothers face will be familiar to many parents…”I am going through all the steps until I get you into bed …aka I’m exhausted”! The comic style artwork of this is absolutely perfect with the style and pacing of the text. Cute and funny and kids will love this! Naked! / Written by Michael Ian Black and Illustrated by Debbie Ridpath Ohi. Published by Simon & Schuster, 2014. I borrowed this copy from Auckland Libraries. 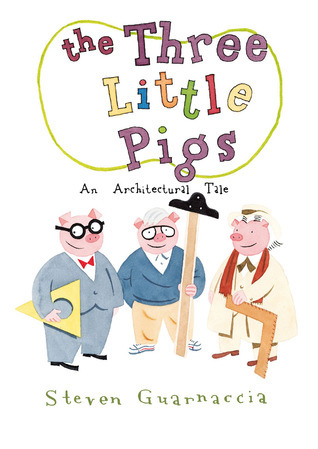 “In this quirky, artsy retelling of “The Three Little Pigs,” the pigs and their homes are nods to three famous architects—Frank Gehry, Phillip Johnson, and Frank Lloyd Wright—and their signature homes. Each house is filled with clever details, including furnishings by the architects and their contemporaries. Of course, not all the houses are going to protect the pigs from the wolf’s huffing and puffing. Which one will? The wolf, and readers, are in for a clever surprise ending“. I’m busy resourcing a new unit for our Year 4 PYP : Where we are in place and time – which is looking at homes and houses. As well as the usual non-fiction and informational texts – I try and buy or borrow as many interesting, provocative picture books as I can to support the unit. The three little pigs fairy tale is familiar to most students, so it can be used to introduce a discussion about homes and why they are constructed to match their environment and purpose; their construction materials; and their form. These might be able to be used as a prompt for children to inquire further into these houses, but I can’t help but feel that children will need help with interpretation of the architectural and design details. The endpapers will help. Adult design aficionados will love it. The three little pigs : an architectural tale / retold and illustrated by Steven Guarnaccia. “Cleverly revealing the basics of reproduction in an age-appropriate way, award-winning Sophie Blackall has created a beautiful picture book full of playful details to amuse and engage readers. Sooner or later, every child will ask, Where do babies come from?Answering this question has never been this easy or entertaining! Join a curious little boy who asks everyone from his babysitter to the mailman, getting all sorts of funny answers along the way, before his parents gently set him straight”. I love this book and I think it is perfect to use with a curious child. The curiosity and problem-solving skills shown from the main character are divine. The illustrations are superb in all their glorious plump babyness. I’m probably not putting this in with our general picture books – I’m not sure that some of our school parents would appreciate this question coming from children just because they have read the book. I’d rather have it available for a parent ready to discuss this with their child. Published by Nancy Paulsen Books (An imprint of Penguin Random). 2014. 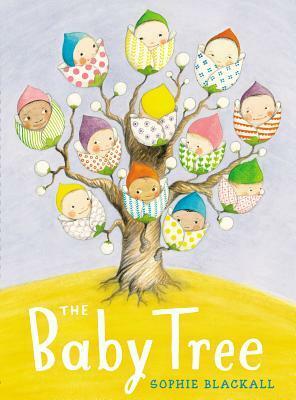 Books for parents to useParentingQuestionsReproductionWhere do babies come from? #365PictureBooks Day 31 Goodnight already! I had borrowed a copy of this from Auckland Libraries but have now purchased one for our school library picture book collection. I love the bear in this story as much as the bear in Jon Klassen’s I want my hat back. The illustrator has made this bear come alive on the page through very simple changes in expression – you can almost feel his eyes suddenly opening on the page. The story reminds me of parenthood and those years with young children who are particularly talkative in the middle of the night. Somehow just when you were at your most tired and the planets seemingly aligned for you to get a full night of sleep something would happen and your small person would have you up all through the night. It’s the same for beart. You can almost feel the cosiness as he is getting ready to sleep and you know exactly how luxurious and lovely that feeling is. But then you identify with the perky, almost caffeine fuelled, wide awake duck who wants to party long after bedtime. Poor bear ends the book looking positively jet lagged (NZers will recognise that wide-awake but asleep look we get when travelling for 24 hours to get from the southern to the northern hemisphere). Sleep deprivation aside, this book is one kids and their parents are going to love. P.S. Check out The terrible two by Jory John and Mac Barnett – a great funny middle grade book. I bought it for school in ebook format but it went out before I could get it first – darn it! Goodnight already! 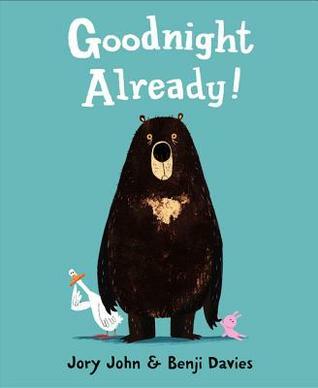 / Written by Jory John and illustrated by Benji Davies. Published by Harper Collins, 2015. NZ RRP $29.99 Available widely in bookstores or borrow a copy from your public library. The great galloon by Tom Banks. Published by Hot Key Books, 2013. Paperback, 166 pages. The Great Galloon is an enormous airship , manned by Captain Meredith Anstruther and his able crew. They might seem like a bit of a motley bunch, but they’re great at fighting off pirates and polishing the decks whilst drinking lots of tea! But disaster is about to strike… Captain Anstruther is preparing to marry the beautiful Lady Isabella. But on his wedding day, his evil younger brother boards the ship and steals Isabella away onto his underwater Sumbaroon! Soon the plucky crew of the Great Galloon – including a reluctant countess-to-be – are battling BeheMoths, dodging scary Seagles and trying to save the Galloon from sinking. But will they ever find the Captain’s bride? Can the crew of the Great Galloon survive this impending disaster? And how many riotous adventures will come their way in this fabulously funny action packed tale? What did I like about this book? I didn’t hesitate to order this because it’s published by Hot Key Books and as I have mentioned often on this blog, they are publishing some of the hottest kidlit fiction coming out of Britain, and kids just seem to love the books. Secondly it had a glowing pre publication review on lovedreading4kids – another website I trust. Thirdly, I have a bit of a penchant for anything steampunkish and something with a steampunk flavor and lots of humor grabbed my interest. Look at the handy ‘Key’ provided by Hot Key on the back of the cover! I love the writing in this, it is playful and a bit mad. The reader is thrust straight into the action, and in a rather alarming way, without much of an introduction. Accomplished readers will eat this up, but in my opinion this isn’t one for struggling readers or kids with English as a second language – it might be a little bewildering. Not a fault with the book – it is just different so something for some readers to work towards. I wasn’t surprised to read that the author has a background in the theatre, it has a ‘panto’ like riotous romping quality. The publisher has suggested Captain Pugwash meets Monty Python, I would throw in a little of the opium fuelled fantasy from Alice’s adventures, and the seagulls from James and the Giant peach to round that description out. There is an absolute Mad Hatterish feel about the story – and to get the humor you have to take things literally rather than figuratively or is that figuratively rather than literally?..maybe both! I loved it – hope some of my Year5 + (9-10+) students do too! Three times lucky by Sheila Turnage. Newbery honor winner and New York Times bestseller. Rising sixth grader Miss Moses LoBeau lives in the small town of Tupelo Landing, NC, where everyone’s business is fair game and no secret is sacred. She washed ashore in a hurricane eleven years ago, and she’s been making waves ever since. Although Mo hopes someday to find her “upstream mother,” she’s found a home with the Colonel–a café owner with a forgotten past of his own–and Miss Lana, the fabulous café hostess. She will protect those she loves with every bit of her strong will and tough attitude. So when a lawman comes to town asking about a murder, Mo and her best friend, Dale Earnhardt Johnson III, set out to uncover the truth in hopes of saving the only family Mo has ever known. Full of wisdom, humor, and grit, this timeless yarn will melt the heart of even the sternest Yankee. Loved it! Highly recommended – This will be good for my mature readers who can decipher the southern voice and writing. Suggested age range 10-12. This should be a wonderful read aloud that would lead to a lot of interesting and lively discussion about the characters, the setting and some of the issues – murder, bank robbery, domestic abuse, and small town snobbery. It is interesting to think that despite the differences in geography ‘small town USA’ is probably very much like ‘small town anywhere’ – including New Zealand provincial towns – and most readers will relate to many of the eccentric and downright nasty characters we meet in the book. Darcy Burdock by Laura Dockrill. Introducing Darcy Burdock, a new, cool, all-conquering girl character with a fresh and distinctive take on the world. Ten-year-old Darcy is one of life’s noticers. Curious, smart-as-a-whip, funny and fiercely loyal, she sees the extraordinary in the everyday and the wonder in the world around her. Written and illustrated by Laura Dockrill: author, poet & performer – think Lady Gaga meets Mother Goose. My name is Darcy, I see the extraordinary in the everyday and the wonder in the world around me. This is my first book. One day it will be read by people like you. In this book you will find out: How to calm an Angrosaurus Rex with some Maltesers; Running away with a reluctant pet lamb in tow leads to some sore kneebows; Baby brothers LOVE being dressed up as girls (they don’t, they prefer zombie snakes). The build up prior to publication of this book was huge. Singer Adele gave this the big thumbs up by being quoted on the cover “The world is lucky to be invited into the colourful imagination of my favorite person! You’re going to have fun!”…and from Vogue: “Everyone is falling for Laura Dockrill“. One of my favourite and most trusted kid-lit book reviewers, had this to say…”Britain finally has an answer to Jeff Kinney and his Wimpy Kid! Many have tried, but few have come close in my opinion, but come next March the trials and tribulations of Greg Heffley will be consigned to bargain bins in book stores across the UK. There will only be one name on everyone’s lips, and that is Darcy Burdock...” Cor blimey – high praise indeed! I am always on the look out for anything that remotely smacks of being similar to Diary of a wimpy kid by Jeff Kinney. Wimpy Kid is probably the most requested title/series in my library with students from Years 3-6 all clamouring for it on a daily basis. In order to keep kids reading, a librarian or teacher has to feed them with similar material to keep them enthused about reading. I absolutely had to buy this based on the recommendations above – and so I preordered this well before the publication date. It arrived, I read it and I suddenly wished it hadn’t been hyped quite so much. It set the bar so high and I just didn’t feel this book reached it. Darcy is a strong character and a good example of how it is great to be different and have your own voice, but I didn’t find this lived up to the claims of knocking Diary of a Wimpy Kid of it’s thoroughly deserved pedestal. There will be kids that will like and probably love this book and so I will happily add it to my collection of Diary of a wimpy kid read-alikes. I am interested to see how popular this is with my students and if they think it is as fabulous as the pre publication reviews suggested.